Director Mike White Unpacks The Impulse To Compare In 'Brad's Status' In White's new film, a father starts to experience status anxiety while taking his son on a college tour. White says it's a universal situation, "but it's definitely a waste of time and energy." 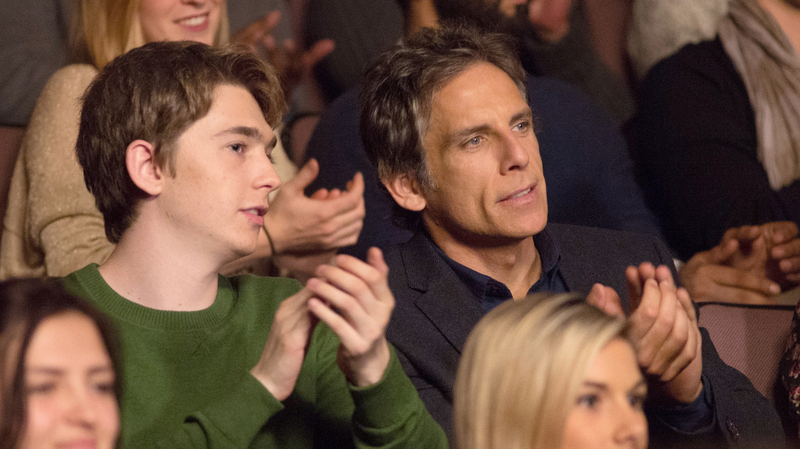 In Brad's Status, a father (Ben Stiller, right) takes his son (Austin Abrams) on a college tour and starts thinking about his own college friends, who are much more successful that he is. You know that feeling when you envy someone because they're more successful, or you think they have a better life? That kind of jealousy can hit you in an almost physical way, even though you know better. The new film Brad's Status is all about that feeling. It stars Ben Stiller as Brad, a husband and father taking his son to visit colleges like Harvard and Tufts. The trip gets Brad thinking about his own college friends, who are much more successful that he is. Brad feels like a failure, and he's jealous of his son's options. Through a series of voiceovers in the film, he questions the choices he's made in life. Brad's Status was written and directed by Mike White, who also created the HBO series Enlightened and wrote the films School of Rock, Nacho Libre and Beatriz at Dinner. White says his latest film was born of his own status anxiety — an anxiety that sometimes keeps him up at night. "I find when I'm in that kind of frame of mind, it's so embarrassing to talk about with other people. ... There's something just so not cool about it that I was like, Maybe there's something to unpack here." He says it in the movie, but it's definitely a waste of time and energy. ... It's a universal situation, but I also think that now more than ever with social media and the way you can access people's lives through Googling each other or getting on Instagram, you're just kind of more aware of, like, the curated lives of your contemporaries. And I think that creates a sense of anxiety or a sense of lack and feeling like "Is somebody's vacation better than mine?" or "Is someone having a better life than mine?" And it is a high-end problem and absurd, but it is something that I think people contend with. 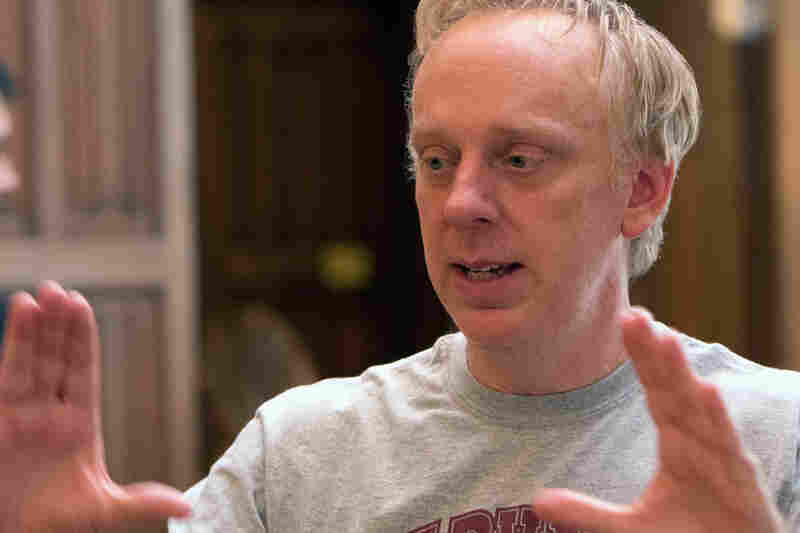 Mike White's other writing credits include The Emoji Movie and several episodes of Freaks and Geeks and Dawson's Creek. I think that because my dad was enlightened in a certain sense — and the progression of where his parents were at, versus the kind of parent he was to me — he really allowed me to try to just become the person I wanted to be, as opposed to put a lot of things on me. So I haven't struggled in the certain ways that he had to struggle. It's slightly emotional because I realized that the whole heart of the movie is just me telling my dad that I love him. I'm grateful for him and I see him as a success. I think not having kids — you can direct some of the energy that people do direct toward their kids toward the public sphere or different kinds of things that I think really are positive for society. I think that there's something great about not having kids. It's not just a selfish thing to be like, "I don't want to devote my life to caring for someone else." I think there [are] other things you can do with that energy. You want to feel like you're part of the conversation. You feel sometimes, when your values are more vulnerable, it makes you want to dig deep and feel like, OK, there's really a role for the artist now. Whether the other side will listen to it, I don't know, but it feels like it's worth trying to weigh in on these kinds of values for our country. Lauren Krenzel and Heidi Saman produced and edited this interview for broadcast. Molly Seavy-Nesper and Nicole Cohen adapted it for the Web.